Poetry and yoga can be complementary practices. 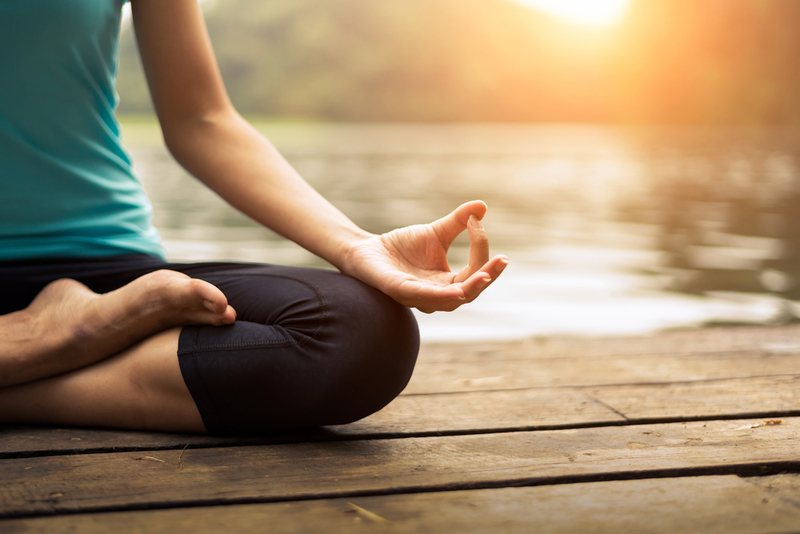 Both poetry and yoga encourage you to connect with your surroundings and inner self, using the structure and form of the practices to produce movement, whether in words or with your body. Breath, flow, precision, openness, awareness and acceptance are also elements that connect the two. They compliment and reflect each other. Mindfulness is an awareness and acceptance of the present moment. When we’re being mindful, we are gently acknowledging what emotions we’re feeling, what thoughts are in our minds, what sensations are in our bodies. As with meditation, we recognise those thoughts and feelings, objectively observing them before letting them float away. Being mindful is a compassionate and calm practice, where we acknowledge our personal experiences in that moment and accept them without judgement. It is a process where we learn to forgive, love and know ourselves better. Sound anything like poetry or yoga yet? Poetry and yoga both use various speeds, feelings and rhythms of words and movements. This very much comes down to the individual and their preferences, but both practices have recognisable flows. You can hear it in poetry and feel it in yoga. Similar to flow, breath is used in both yoga and poetry, to shape words and connect movements. It aids to the rhythm of both the poses and the lines of poetry. When writing a poem, you need to be aware of whatever is it you are writing about, feeling and experiencing the poem in order to convey it with words. When practicing yoga, being in the present moment is more about feeling your body, listening to it and moving with it. For both yoga and poetry, it’s important not to be judgemental. You need to accept that you’re doing your best and don’t need to be perfect. It’s more about the process than the result, and it should enable you to connect with yourself on a deeper level. It’s not about comparing yourself with others. It’s about being creative in a judgement-free space. Both poetry and yoga are about connecting with our inner selves and the environments around us. They can produce a feeling of freedom, offering us a space to create, interpret, discover and experience the world around us, and within us. They are also both individual to each practitioner, who may shape them to fit around their bodies and minds. If you’d like to see for yourself how poetry and yoga can compliment each other, please come along to our free yoga session on Saturday, where we’ll be celebrating both practices together.